Structural heart disease (SHD) interventions have emerged as a new field in interventional cardiology over the last decade. 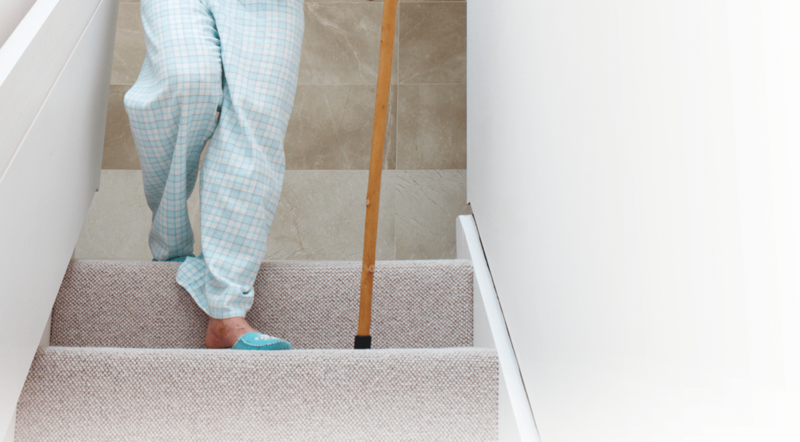 The need for highly specialized cardiologists has increased, and advances in SHD interventions are con­tinuing to emerge, especially with transcatheter aortic valve replacement, pulmonic valve implantation, mitral valve repair, and shunt closure pro­cedures. Currently, the Accredi­tation Council for Graduate Medical Education (ACGME) accredits interventional car­diology fellowship programs. Accreditation is provided when they demonstrate a high-quality and well-established training curriculum in coronary and peripheral interventions. Training in SHD interventions, however, remains in its infancy in the United States. In Catheterization and Cardiovascular Interventions, Dr. Cilingiroglu and colleagues from the SCAI Structural Heart Disease Early Career Task Force had a study published that assessed the opinions of inter­ventional cardiology program directors in ACGME-accredited institutions actively involved in structural interventional training. “We surveyed directors across the country about their ideas and suggestions regard­ing an ideal SHD fellowship and other potential train­ing pathways for gaining these skills without going through a dedicated training year,” Dr. Cilingiroglu says. 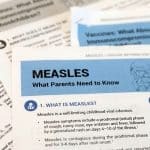 The study also assessed views about the mini­mum number of procedures needed to be performed for a physician to be “signed off” as being proficient at independently performing complex procedures. 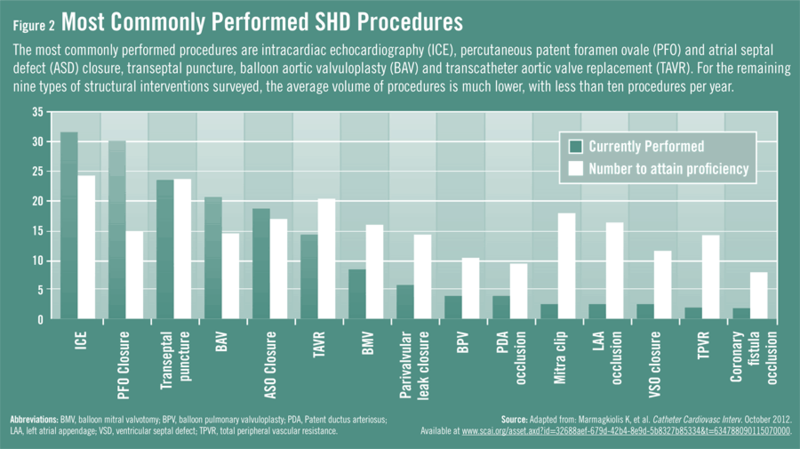 According to the results (available at http://www.scai.org), about 86% of the 50 ACGME-accredited interven­tional cardiology programs surveyed were involved in the percutaneous treatment of SHD. Among those, only 29% offered a 1-year training program in SHD after completion of interventional cardiology training (Figure 1). The majority integrated structural train­ing with coronary and peripheral intervention train­ing. More than one-third of training was achieved by assigning cases throughout the year to fellows, while a quarter took place by participating in specialized con­ferences or courses. The average number of structural procedures per­formed per year in the studied institutions was small (Figure 2). “Our study showed that more than half of program directors believe time dedicated to SHD training in the first year of interventional cardiology training was not enough,” says Dr. Cilingiroglu. In only four of the 15 procedures was the average number of procedures performed higher than what program directors felt was the number necessary to achieve skill proficiency. There was not a single center in the U.S. that offered sufficient training in all advanced SHD interventions. As care continues to advance for patients, it is essential that clinicians establish structured training programs with standardized requirements that can help new interventional cardiologists build their skills in this area. 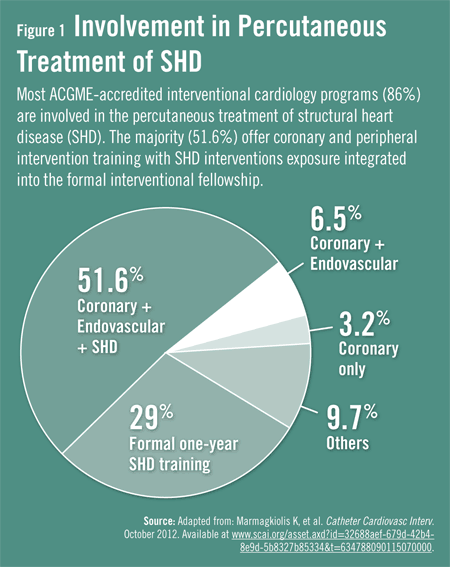 While most interventional cardiology training programs are involved in some sort of structural interventions, only a few offer a dedicated SHD fellowship program. Marmagkiolis K, Hakeem A, Cilingiroglu M, et al. The Society for Cardiovascular Angiography and Interventions Structural Heart Disease Early Career Task Force Survey Results – Endorsed by the Society for Cardiovascular Angiography and Interventions. Catheter Cardiovasc Interv. 2012 Jul 30 [Epub ahead of print]. Available at http://www.scai.org/asset.axd?id=32688aef-679d-42b4-8e9d-5b8327b85334&t=634788090115070000. Also available at: http://onlinelibrary.wiley.com/doi/10.1002/ccd.24535/abstract. Marelli AJ, Mackie AS, Ionescu-Ittu R, et al. Congenital heart disease in the general population: changing prevalence and age distribution. Circulation. 2007;115:163-172. Ruiz CE, Feldman TE, Hijazi ZM, et al. Interventional fellowship in structural and congenital heart disease for adults. JACC Cardiovasc Interv. 3:e1-e15. Holmes DR, Jr., Mack MJ. Transcatheter valve therapy: a professional society overview from the American College of Cardiology Foundation and the Society of Thoracic Surgeons. Ann Thorac Surg. 92:380-389. Herrmann HC, Baxter S, Ruiz CE, et al. Results of the Society of Cardiac Angiography and Interventions survey of physicians and training directors on procedures for structural and valvular heart disease. Catheter Cardiovasc Interv. 76:E106-E110. Cardiovascular Medicine Core Cardiology Training (COCATS 3) (revision of the 2002 COCATS Training Statement). J Am Coll Cardiol. 2008;51:335-338. Mehmet Cilingiroglu, MD, FSCAI, FACC, FESC, has indicated to Physician’s Weekly that he has or has had no financial interests to report.